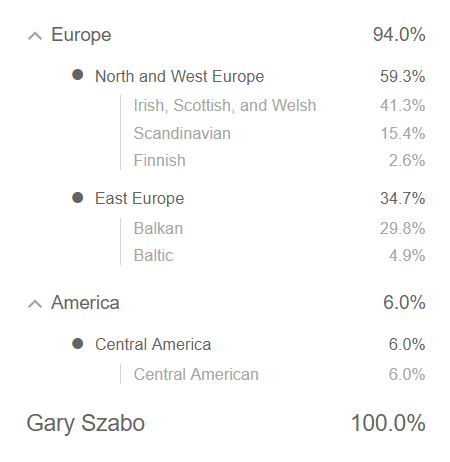 This year and last, thanks to Ancestry.com, Google searching and Google translate, I’ve been able to fill in many bits and pieces in my wacky and far-ranging family genealogy. I’ve written here about some of the discoveries in my Father’s history in Hungary. Thanks to a zealous Schoonover family genealogist in West Virginia, I’ve been able to answer questions that led back to 1680s Dutch America, and also clarified once and for all my Cherokee lineage. It’s been most illuminating. What I knew was: I’m half Hungarian, as my Father left Hungary in 1956 and emigrated to Oklahoma. But we know there’s been a ton of intermarriage with local “natives” since the Hungarians conquered Pannonia after the Romans left. We also know about the 1/16th Cherokee, my 6th Great Grandfather the British Major in 1700s Georgia, the Dutch (Schoonover), and the Irish/Scottish (Collins and others I haven’t fully recorded yet). As I’ve been sharing this with my Mom and telling her things she never knew, she says: “We should get some DNA test kits for all of us.” Which we did. Thanks, Mom! My results came in this morning. Everyone else got theirs over a week ago. I attribute that to my incredible “Heinz 57” properties that made the DNA analysts say…really? So you can see there’s a lot of bits and pieces. First off, no DNA test can pick out membership to any tribe, so this particular test tags Native American DNA to Central America: 6%. The Irish/Scottish/Welsh could be a bit of both the Collins clan and British Major John Downing’s DNA, as well as the Scandinavian from the numerous raids and occupations of Britain in the early Middle ages. Balkan is their non-country specific term for the area of Hungary, Romania, etc. As we know my father was a “White Hungarian” with a lighter complexion than most “Black” or more ethnically pure Hungarians, this makes sense factoring in that local intermarriage expressing itself physically. Tidbit: it tends to hop around in families; my Uncle Frank is a Black Hungarian, as was my Uncle Zsigmond. But my Aunt Julia? White Hungarian, like my Dad. This is where an old Magyar Legend of the White Stag might come in….one of my Dad’s favorites. Before there was a Hungary, the story my Dad told was that there were two chieftains, Hunor and Magor, who chased the White Stag — a powerful totem within their mythology, always eluding them, and always going due West. Eventually, the two chieftains split up: Magor settled in present-day Hungary, and Hunor made it to Finland. Linguistically, Hungarian and Finnish are alone in Europe: described as “Finno-Ugric” root languages that don’t share anything with their Indo-European neighbors, so the White Stag legend can be looked on as fanciful storytelling to describe how these tribes separated where Asia and Europe meet long ago. If you accept that, one can imagine that some of my “Hungarian” DNA stretches farther back to the time before, when these future geographic clusters of DNA were just a bunch of nomadic tribesmen on horseback near the Ural Mountains. Or maybe some distant 3rd or 4th great uncle moved from Hungary to Finland, thinking he could pick up the language easily. No matter how to slice it, it’s fascinating stuff. It reminds me just how mixed all us humans are, and also how thin the veneer is between our days as hunter-gatherers and putting people on the Moon. It also can testify to the survival strength of us as individuals: not that different from our distant ancestors, just wanting to make a living, have a family and get through each day. Across the incredible expanse of time and human history, we’re the lucky ones whose ancestors didn’t get eaten or hit by arrows in battle, so that we could hopefully do something meaningful. Other than me typing this or your reading.